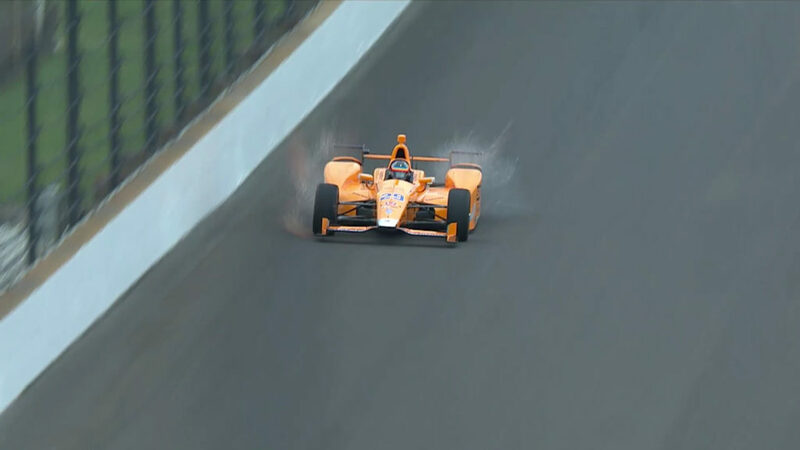 Fernando Alonso stepped into his McLaren Honda Andretti for the first time yesterday, attracting scores of YouTube views for his first ever Indycar test. The double F1 champion stepped into the cockpit as part of his rookie orientation programme, running laps at increasingly faster speeds in order to pass the test. Alonso’s performance was praised by 1978 F1 champion and Indycar icon Mario Andretti, who said his performance “couldn’t be smoother”. However, it wasn’t quite without incident, as the Spaniard accidentally killed two birds during the test. Or rather, he didn’t so much kill them as make them turn into a puff of feathers. Check out the GIF below.